You seek health professionals who work as a team to help you heal and restore your ability to live life at your peak performance level. The ‘centre’ symbolizes all things health – mind, body and soul. The ‘peak performance’ describes our focus on helping you by educating and coaching to fine your own personal power, or potential. 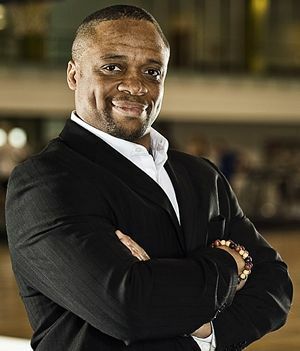 Hi, I’m Alvin Brown, the founder and CEO of The Centre for Healing and Peak Performance. Thank you for visiting our website. I would like to take a moment to tell you a little bit about myself and share with you my vision for why I launched this centre that continues to drive me and my team forward and how we can help you. If I had to use one word to sum up my vision, it’s ‘curiosity’. I am fascinated with knowing why we do the things we do and how we work. I have spent the past 20 or so years trying to answer those questions. I truly believe we are more than our physical selves. You can’t separate your physiology from your psychology. I am curious about how we can put everything together – mind, body and soul. For example, if you have a skin condition or a joint problem, it’s not just those physical issues that are to blame. That’s why at The Centre for Healing and Peak Performance, we focus on treating you - the whole person to find out what else is going on in your life that is causing this physical problem. But, we take a holistic approach rather than focusing on treating only one aspect of it. The goal is to help people live at their peak level of health. From this, I developed the integrated peak performance program. My curiosity was sparked early in life. Growing up, I was interested in and had a talent for sports and dance. But, when I was diagnosed with a rare skin condition, I sought ways to deal with this through health and wellness instead of just creams or other medications to treat that skin condition. I wondered what else could be behind this? I put myself on a strict diet, nutrition and exercise regimen which helped to lessen this condition. A lightbulb went off for me because I realized there were other factors that helped to heal that condition and that I could do more with the knowledge I had gained from this experience in my life. I committed to learning everything I could and went on to earn two university degrees in addition to certifications in a number of health and wellness disciplines including massage therapy, acupuncture and Chinese medicine, personal training and holistic nutrition. I have also written a book, Journey to Personal Greatness, Mind, Body & Soul: A Blueprint for LIfe Balance & Self-Mastery, which provides readers with their own blueprint for achieving life balance. I use this same philosophy with clients and have trained my team on this integrated peak performance program – connecting the mind, body and soul. 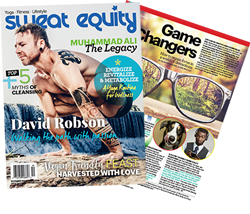 As well, I regularly write for Sweat Equity Magazine, aimed at readers committed to the same ideals I believe in: Healthy living, peak performance and personal greatness. All this has led me to create a comprehensive health centre that is the embodiment of my vision. Our name symbolizes this connection between ‘healing’ the whole person and restoring balance so a person can achieve his or her ‘peak performance’ in both personal and professional life. 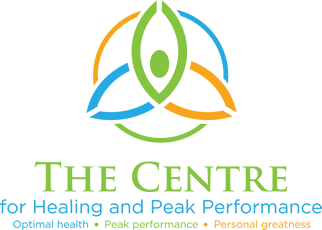 This identity symbolizes what The Centre for Healing and Peak Performance is all about and what we wish our clients to recognize as our essential purpose. The logo represents the centre as more than a place for individual or one-time treatments and truly a centre for healing the whole person – mind, body and soul. 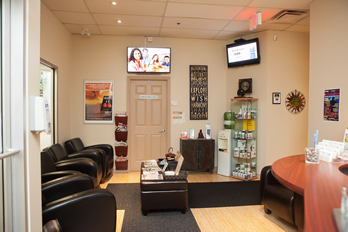 The idea of holistic health and treatment and achieving peak performance, all under one roof, is key. Visually the three ‘arms’ represent mind (blue), body (green) and soul (yellow/orange). The solid dot in the middle represents focus on all three of these elements and represents the centre and eye of creation. The circle encompassing everything is the circle of life and the continuation of health, wellness and peak performance. 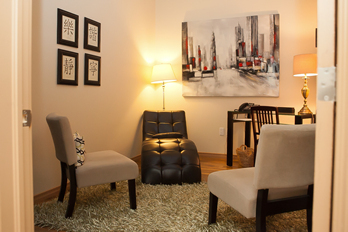 Meet with our practitioners for 20 minutes at no charge to determine your best path forward. Just contact us to take advantage of this offer to help you get back on track in your life and live the way you want to live – in balance and optimal health. Intensive, one-on-one sessions aimed primarily at those people who are looking for a personal care approach when wanting to achieve their personal best, mind, body and soul. A comprehensive and targeted coaching process, focused on the mind-body-soul triad and how to bring back the balance in your life using our unique six-step process.